The Geochemistry and Interfacial Sciences Group conducts fundamental and applied research on fluid-strong interactions that control (a) contaminant fate and transport and energy extraction in subsurface geologic environments; (b) electrical power storage in porous electrode supplies; and (c) heterogeneous reaction rates, mechanisms and equilibria generally. The European Ground water Geochemistry Project (EGG), was in a position to analyse groundwater utilizing bottled water as proxy, fulfilling the circumstances of the EC Directive 2000/60/EC (EC, 2000), and its outcomes was a book entitled Geochemistry of European bottled water”. The purpose is to determine the main recharge areas of fluids, to estimate the thermodynamic equilibrium conditions (P and T) for the active reservoirs (using well-known geothermometers and in addition developping auxiliary chemical and isotope geothemometric techniques) and to identify secondary processes (as steam separation, partial condensation, mixing, dissolution and precipitation of mineral phases) by the use of chemical and isotopic characterization of cold and hot fluids, hydrothermal alteration data, numerical modeling and laboratory experiments on fluid-rock interplay processes. The Geochemical Mapping of Agricultural and Grazing Land Soils Challenge (GEMAS), supplies for the first time totally harmonised knowledge for element concentrations and soil properties identified to influence the bioavailability and toxicity of the elements at the continental (European) scale, compliant with ATTAIN. As a result of pure processes and human activities are repeatedly modifying the chemical composition of our environment, it is important to decide the present abundance and spatial distribution of the weather across the Earth’s surface in a much more systematic manner than has been attempted hitherto’. 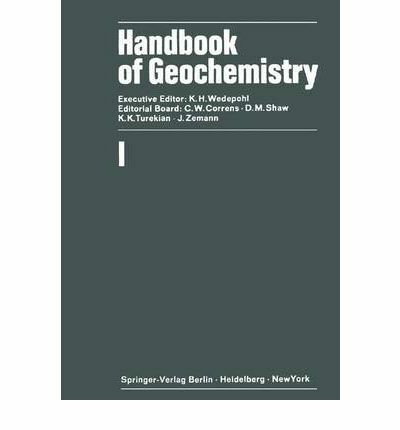 To realize this mission, systematic geochemical knowledge for the whole of Europe are generated and systematic geochemical data is revealed within the form of geochemical atlases, which are freely available, and can be used for (a) state of the setting reviews, (b) mineral exploration, (c) agriculture, (d) forestry, (e) animal husbandry, (f) geomedicine or medical geology, (g) willpower of pure background values for environmental danger evaluation, and many others.